Automatic 2016 Kia Rio with 15 inch wheels, climate control, USB, grey interior, grey/silver exterior. 2017 Kia Rio, priced at AED 32,000, with features such as power windows, tuner/radio, ABS. It has beige interior and is Red. GCC spec. Brown 2015 hatchback. Grey interior. It features MP3 interface, 14 inch wheels and power windows. Grey/Silver 2017 hatchback for AED 32,000. Beige interior. It features air conditioning, 14 inch wheels and airbags (front and side). Jack - These cars pre owned are brilliant when it comes to boot space and interior options. The only problem is even though I bought the 1.6 model for a low price, it can be sluggish at times but parking it in Dubai Mall is easy. Pros: Options, price in UAE and size. Salam - When I bought one of these second hand a few months ago, I can see why these cars are so popular. Fixing is easy as it’s fuel consumption on my wallet. Highly recommend these cars to buy. Pros: Price, fuel consumption and practicality. 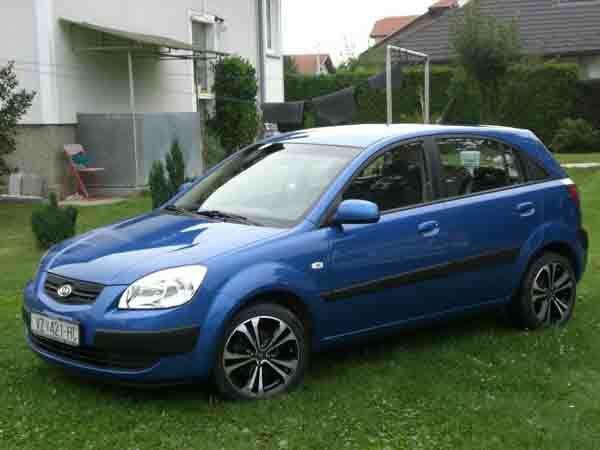 Munir - I bought an import used Kia Rio 1.4 late last year. Best car I have driven to date! It’s easy to drive and park in the UAE, fuel is cheap and fixing these cars are easy. Pros: Boot space, options and size. Compared to other hatchbacks, the Kia Rio has a remarkable amount of space in the boot. Due to its small nature, parking anywhere in Dubai is easy. If a hatchback is not your thing, the Rio is available as a sedan. With it being a South Korean brand, finding a buyer for your used Kia Rio for sale in Dubai, UAE is easy. Selling one overseas in the export market is just as easy. Reliability is nothing to worry about as these cars are built to last and are easy to maintain with parts readily available in the UAE. 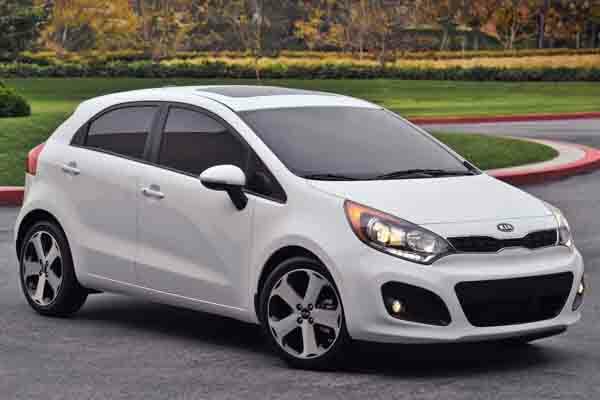 The Kia Rio’s serves as a subcompact vehicle in Kia’s lineup and has proved popular over the years, debuting in 2000, it still goes strong to this day. Available in either a sedan, hatchback and the discontinued station wagon, the Kia offers a wide variety of all customers. In America and Europe, a GT rim also exists which gives the vehicle an extra kick and a unique look. In 2017 trim, it is expected to receive a major refresh. Road Rivals:Ford Fiesta, Honda City, Toyota Yaris and the Chevrolet Aveo. In its first generation, Rio didn’t make headlines but proved to be popular over the years, available in sedan or station wagon body styles. Standard models have fabric seats, manual accessories and bulb headlights. Optional Extras include power steering, leather seats, car alarm and radio tuner. Powering the front wheels is a selection of four-cylinder petrol engines mated to either a manual or automatic gearbox. 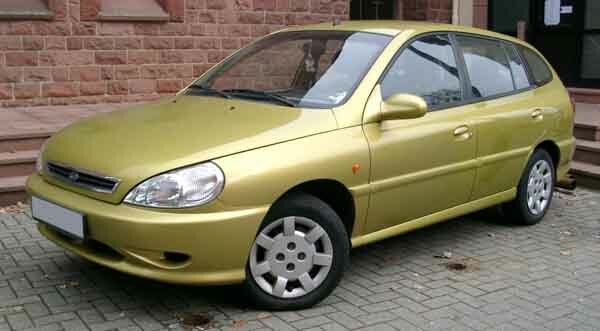 Looking to buy a second hand Kia Rio for sale in Dubai, UAE? Prices start at AED 7,000. In its second generation, the Kia Rio launched in the GCC in both sedan and hatchback from with the hatchback taking over from the outgoing station wagon. With a brand new look, base options have air conditioning, 14-inch rims, and manual accessories. Optional extras include colour matching exterior trims, power accessories and a radio tuner. Safety features include five seat belts in base trim with ABS and airbags available as optional extras. In 2010, the front end is different as a mid-cycle facelift popped up. Powering the front wheels is a four cylinder 1.4-litre petrol motor rated at 95 horsepower. That power is controlled by a five-speed manual and four-speed automatic gearbox. Want to buy used Kia Rio in Dubai, UAE? Prices start at AED 18,000. Entering its third generation, Kia gives the Rio a massive overhaul once again with rounded edges and an all new interior. Base models feature 14-inch steel rims, CD/MP3 stereo system, air conditioning, a single airbag, power accessories, power locks and a manually adjustable steering wheel. Mid-level versions have 15-inch steel rims, fog lights, keyless entry, indicators mounted on the mirrors, Bluetooth, media inputs, volume control mounted on the steering wheel and a split folding rear seats. Top tier models have rear parking sensors, 17-inch alloys on each corner, LED running lights, xenon headlights, cruise control, sunroof, passenger side airbag and ABS. The 1.4-litre petrol inline four motor returns for another few years with minor updates and higher output. Most GCC models are equipped with a four-speed automatic with a rare manual version floating around. Looking to buy a pre owned Kia Rio for sale in Dubai, UAE? Prices start at AED 21,500.